Allergy Education Advisory Council is made up of allergists, pediatricians, nurses, nutrition consultants, researchers and manufacturers who are leaders in the food allergy arena. The allergy council focuses on ways NPB can help lead the way on education and engaging consumers and influencers on proper food allergy diagnosis and management. Dr. JJ Levenstein, MD, FAAP, is a pediatrician, president and co-founder of MD Moms. She serves as the Executive Secretary of United Cerebral Palsy Los Angeles, where she is a very active member of the Board of Directors and Board of Governors. She has served on the Scientific Advisory Council of the National Peanut Board since 2008, where she has brought the voice of the parent to the NBP and serves as a spokesperson for the Board at events and conferences. She is president and co-founder of MD MOMS, and manufactures hypoallergenic skin products for infants and children. She is active in the media, and writes for several child-oriented websites and sits on the advisory boards of several sites. She is an on-line instructor for www.momassembly.com, and currently is appearing on Home and Family contributing medical segments for their audience. 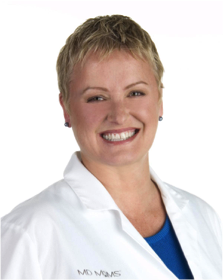 Sherry Coleman Collins is a masters-level registered dietitian nutritionist who specializes in converting the science of nutrition into bite-size nuggets for consumers and professionals. Her experience includes clinical pediatrics, school foodservice, and working with individuals of all ages. She consults as the nutrition and food allergy expert for the National Peanut Board, providing education for experts across the country, including educators, school nutrition professionals, dietitians, nurses, and other health professionals. In January 2014, Dr. David Fleischer joined the new Section of Allergy at Children’s Hospital Colorado (CHCO), where he is currently an Associate Professor of Pediatrics. Dr. Fleischer’s clinical interests include food allergy, eosinophilic gastrointestinal disease, and atopic dermatitis. His research has focused on the natural history of food allergy and novel treatments for food allergy, including oral and sublingual immunotherapies. He is the Director of the Food Challenge Unit at CHCO, and is working with CHCO to develop a Food Allergy and Atopic Dermatitis Diagnostic and Treatment Center, of which he will direct. He also treats patients in the nationally recognized, multidisciplinary Gastrointestinal Eosinophil Diseases Program at CHCO. Dr. Fleischer completed his undergraduate training at the University of Pennsylvania in Philadephia in 1992, medical degree training at Emory University School of Medicine in Atlanta in 1997, and both Pediatric Residency and Pediatric Allergy/Immunology Fellowship training at The Johns Hopkins University School of Medicine in Baltimore in 2005. As CEO of the Food Allergy & Anaphylaxis Connection Team (FAACT), Eleanor provides the education, advocacy, awareness, and grassroots outreach needed for the food allergy community. Eleanor serves on the National Food Allergy Management & Education (FAME) Advisory Board, the National Peanut Board’s Allergy Education Advisory Council, Sea World’s Allergy Resource Team, and Association of Food and Drug Officials (AFDO) Food Allergen Control Committee. In August 2015, Eleanor was inducted into The National Association of Professional Women’s (NAPW) VIP Professional of the Year Circle for her commitment to healthcare and nonprofit industries. Ms. Ladd is the State School Nurse Consultant for South Carolina. This position is uniquely shared by two state agencies, the SC Dept. of Health and Environmental Control and the SC Dept. of Education to address the professional development and support of school nursing and other school health initiatives. Ms. Ladd has been in pediatric and school nursing since 2001. She is a registered nurse with an MSN in nursing administration from St. Joseph’s College of Maine, and a bachelor’s degree in economics from Boston College. She is also an active member of the SC Association of School Nurses (SCASN) which is a local affiliate of the National Association of School Nurses (NASN). Ms. Ladd is also a member of the National Association of State School Nurse Consultants (NASSNC), a role she has found to be valuable to share experiences, policy and knowledge at the national level for the betterment of our nation’s children. Ms. Ladd and her husband enjoy living near Lake Murray, SC, and are boating enthusiasts. Matthew Greenhawt, M.D., M.B.A., M.Sc. Matthew is board-certified in pediatrics and allergy and immunology. He serves as an assistant professor of pediatrics at the Children’s Hospital Colorado and the University of Colorado School of Medicine. He is the co-director of the Children’s Hospital Colorado Food Challenge Unit. While at the University of Michigan, he co-founded and co-directed the Pediatric Combined Eosinophilic Esophagitis Clinic and was the research director for the University of Michigan Food Allergy Center. Dr. Greenhawt’s specific research interests include parental understanding of food allergy risk and shared decision-making, utilization of food allergy-related health services, adherence to practice guidelines, optimal strategies for diagnosis and treatment of food allergic disorders, prevention of food allergy and quality of life among families with food allergic diseases. Wesley Johnson focuses her practice in the area of preventive law advising clients in the areas of school law, employment law, and governance. She graduated from the University of Texas, School of Law and has been licensed to practice law in the state of Texas since 1999 and the state of Louisiana since October 2009. Wesley has coordinated all nine of the institutions within the UL System on policies and procedures involving federal and state laws including Title IX, Clery Act, Violence Against Women Act and the Campus SaVE Act. He joined King’s College London in 2006 as Professor of Pediatric Allergy and he is currently Head of the Children’s Allergy Service at Guy’s and St Thomas’ NHS Foundation Trust and is a member of the MRC-Asthma UK Centre in Allergic Mechanisms of Asthma. His research has focused on severe childhood asthma, peanut allergy, and new strategies to prevent and treat food allergies, eczema, asthma, and hay fever in children and adults. His clinical expertise includes allergic asthma, anaphylaxis, and desensitizing vaccines to treat hay fever and other allergies. He is the Principle Investigator on the LEAP (Learning Early About Peanut allergy) and EAT (Enquiring About Tolerance) studies, which are taking place at the Evelina Children’s Hospital. He completed his medical degree at Lincoln College, Oxford University he then completed senior house office appointments at the John Radcliffe in Oxford. He has established two of the nation’s pediatric allergy centers, and is a cofounder of the Allergy Academy at King’s College London. Dr. Maleki is currently a Research Scientist at the USDA focusing her work on peanut allergy and the reduction of peanut allergenicity and she is working on understanding the structure and function of allergens, detection of allergens, and allergen immunology. Dr. Maleki received her bachelor of science degree in chemistry and biology from the University of Tennessee. She received her Ph.D. in biochemistry and molecular biology at the University of Arkansas for Medical Sciences and completed post-doctoral work at Arkansas Children’s Hospital in Structure, Function and Immunology of Peanut Allergens. She has been or is an invited member of the Food Allergy Advisory Committee to the FDA (2005) and Scientific Advisory Committee to the National Peanut Board, 2002-Present. Mary Jane Marchisotto is the Senior Vice President of Research and International at Food Allergy Research & Education (FARE), which was formed in 2012 as the result of a merger between the Food Allergy & Anaphylaxis Network (FAAN) and the Food Allergy Initiative (FAI). Previously, she was the Executive Director of FAI, which she joined in 2009. In addition, she serves as Chair of the Patient Organization Committee of the European Academy of Allergy and Clinical Immunology (EAACI) and as Chair of the International Food and Anaphylaxis Alliance. Mary Jane is on the National Peanut Board’s Food Allergy Advisory Council, is a member of the Adverse Reactions Committee of the American Academy of Allergy Asthma & Immunology (AAAAI), and is serving on the Sharing Clinical Trial Data Action Collaborative of the National Academies of Sciences, Engineering and Medicine. She has co-authored food allergy peer reviewed journal articles, has served on a number of non-FARE food allergy grant review panels and industry panels and has peer reviewed food allergy publications. William L. Weichelt is the Director, ServSafe for the National Restaurant Association and has over 20 years of experience in the food service and food manufacturing sectors. Prior to joining the National Restaurant Association in 2007, William served as Marketing Manager for Silliker, Inc. A graduate of Olivet Nazarene University with a Master’s in Business Administration, he holds a bachelor’s degree in marketing, business administration and advertising from Indiana University.